In a city known for being the birthplace of America, you can imagine residents want to keep their city clean. This means tossing an old mattress out on the sidewalk is not the best idea. The truth is, a good mattress is hard to come by and removing the old one can prove tricky. So, why not seek help when it comes to Philadelphia mattress disposal and book Mattress Disposal Plus to remove it for you. Rely on Mattress Disposal Plus – a name you can trust for fast, friendly and secure Philadelphia Mattress Disposal. Are you planning a move in Philly? Then perhaps, it’s time to consider getting help moving your old mattresses, box springs and used furniture to make room for the new. 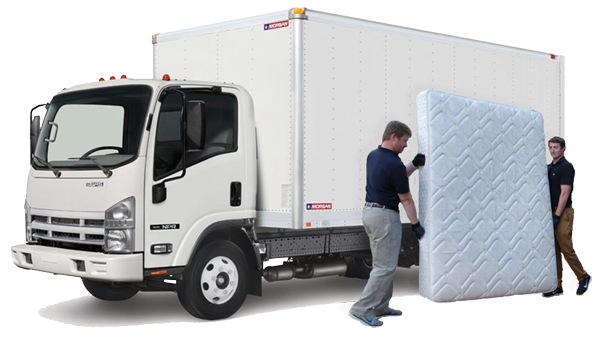 Hire a professional hauler to help you out with mattress disposal in Philadelphia. Disposing of a used mattress the wrong way can be detrimental to the environment in Philadelphia, Pennsylvania. Recycling is one of the simplest and easiest ways someone can help make their neighborhood a cleaner and greener place to live. At Mattress Disposal Plus, we take recycling seriously, specializing in recycling and disposing of used mattresses and other furniture. Call (877) 708-8329 or Book Online to schedule Philadelphia mattress disposal. Once we arrive, we will do all the heavy lifting for your scheduled Philadelphia mattress disposal needs. There will be no need to worry about how to get rid of your old mattress again. We also offer other hauling services like for old furniture. We are proud to offer our clients the satisfaction that comes along with quality and efficient service. If you are looking for convenient and easy mattress and furniture removal that is kind to the environment and your wallet, contact Mattress Disposal Plus. We can help with all of your Philadelphia mattress disposal needs. No need to turn to other companies because customer satisfaction is our main aim. We provide the best old furniture and old mattresses removal deals and services to all areas in Philly including but not limited to Old City, Logan Square, Devil’s Pocket, Cedar Park, Yorktown and more. There are many benefits to living in Philadelphia. It has many sites of historic importance, a beautiful skyline, and great professional sports teams. However, there are some drawbacks to living in Philly too. Just as in any large, cramped, busy city, it can be very hard to move large, bulky items or to dispose of or recycle furniture in a way that is environmentally responsible. For example, if you have an old mattress that you need to get out of your apartment, it can be hard to find something to do with it. You might not own a vehicle that is large enough to transport it to a recycling or disposal facility.